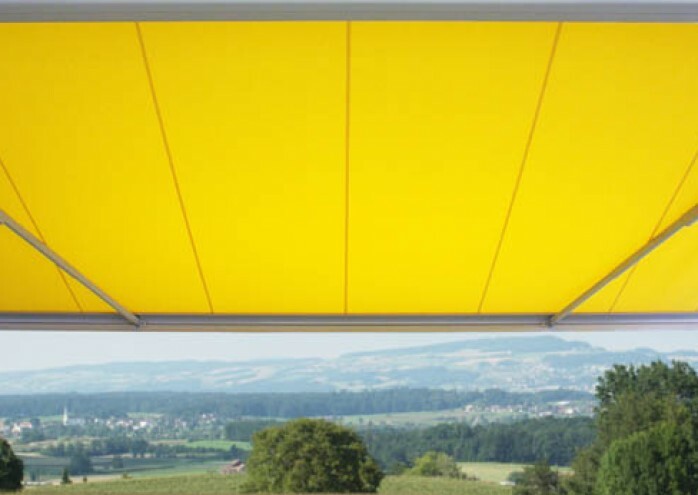 The Mesabox is an innovative and elegant box awning for larger shaded areas. 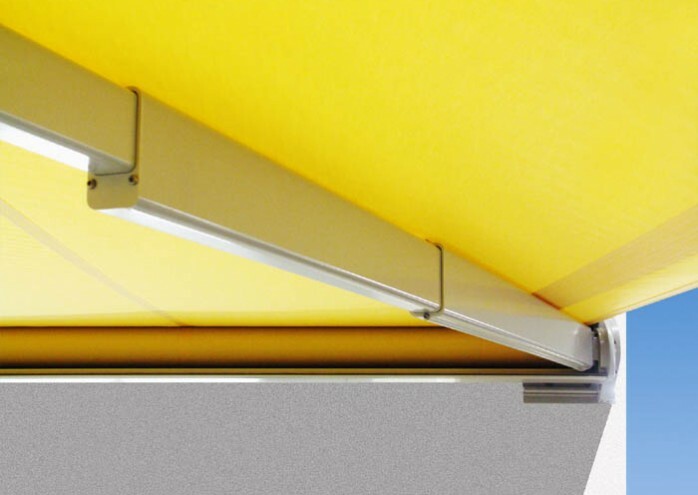 The Mesabox combines a slim cassette with the patented telescoping Stoboscope arms to ensure the fabric stays taut, even when fully extended. 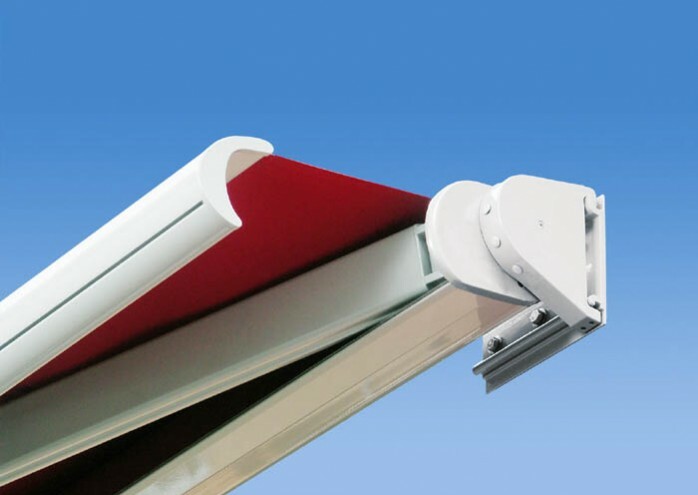 When retracted, the rounded profile closes together nicely, to become aesthetically pleasing, yet practical in the protection of the awning from the elements. The standard electric motor allows ease of use with various remote controls, sun, and wind sensors. The Mesabox is perfect for large terraces, restaurants or homes.